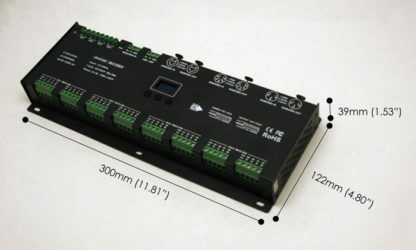 The LT-932-OLED constant voltage 32-Channel DMX Decoder 3A per Channel is designed for professional use where multiple DMX outputs for LED Strips are required. 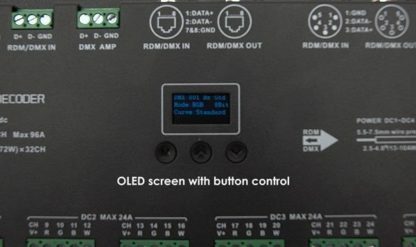 The LT-932-OLED has multiple connection interface that includes RJ45, 3-pin XLR, 5 pin XLR and terminal block connections for DMX in and out. 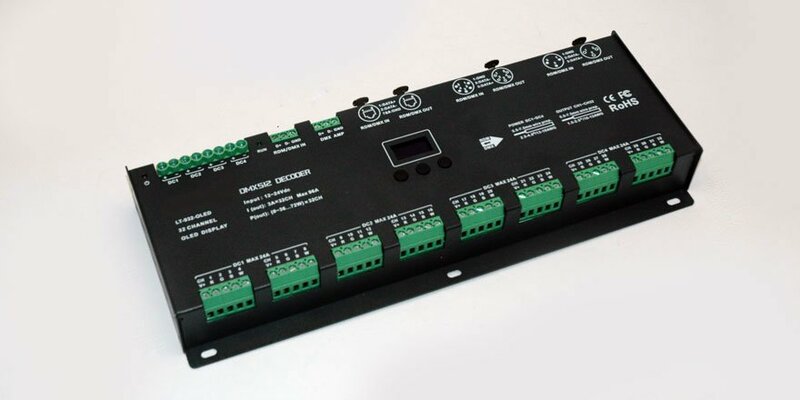 The terminal block connection also serves as a DMX signal amplifier to ensure data transmission (Cat 5) over long distances. 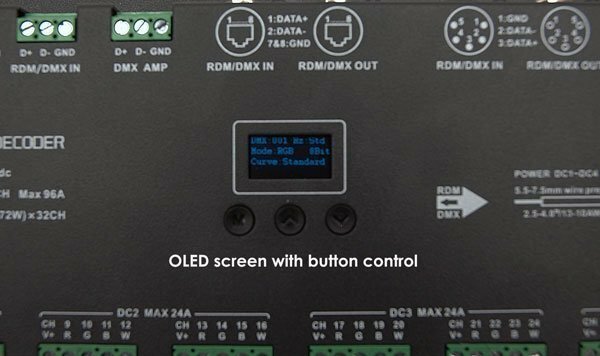 OLED screen with button control is used for setting the DMX address and other operations. Converts standard DMX signals to PWM output for driving 12 or 24 VDC LED lighting. Works with 12V and 24V LED lights.